iMore is made up of battery case experts. We couldn't exist outside our home without additional juice and a battery case is a perfect way to get that extra boost. We've tested dozens of battery cases and put them through the test to determine the best picks for most people. Apple's Smart Battery Case is one of our favorites for iPhone battery cases. The hinge makes it super easy to get your device in and out, the case provides enough juice to get you through the entire day and then some, and the intelligent battery status display lets you know how much juice is left. 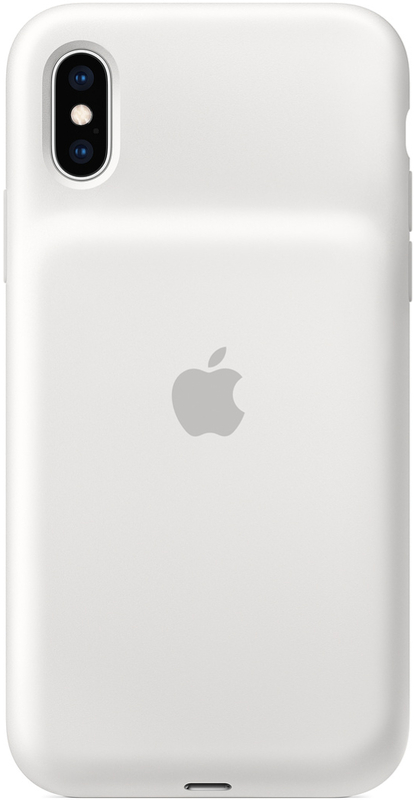 It's Apple's second iteration of battery case and has already improved dramatically in terms of design. Mophie has a pretty good track record when it comes to battery cases, and the Juice Pack Access looks like another strong contender. It packs up to 2200mAh in battery power, so you definitely extend your device's battery life significantly, and it's cheaper. However, you don't get the intelligent battery status display integrated into iOS, and you're going to need to carry around a USB-C cable to charge the Juice Pack Access. 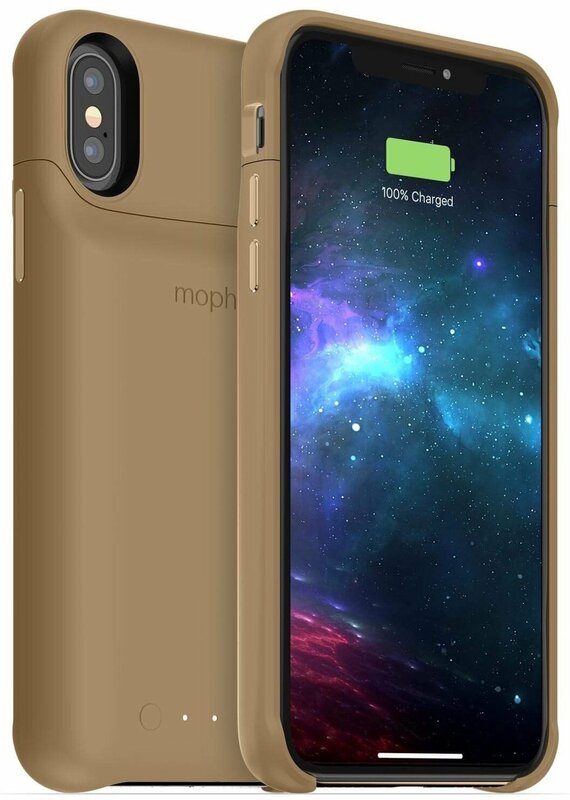 While the Apple Smart Battery Case is available right now, the Mophie Juice Pack Access is also a good option to consider once it's released sometime in Q1 2019. Let's break each one down to see which is the better buy. As of right now, our pick is the Apple Smart Battery Case for the iPhone XS, XS Max, and XR. The Smart Battery Case has a fairly slim profile that I like, and the "hump" on the back helps retain a good grip on our phones. The inside is lined with a nice and soft material to protect your phone from scratches and scuffs as it's going in and out of the case, and the soft-touch silicone exterior feels good. And honestly, I've loved the elastomer hinge since it was introduced in the first iteration of the Smart Battery Case because it's much easier than having to pry apart a two-piece case. The Smart Battery Case is also a big improvement in terms of cell batteries. It's using two cells instead of one, so the total capacity is a whopping 2738mAh, which easily beats Mophie's Juice Pack Access. Regardless of the model you go with, each Smart Battery Case will provide at least 30+ hours of talk time, 20+ hours of web browsing, and 20+ hours of video playback. Plus, the Smart Battery Case charges wirelessly via Qi-certified charging mats or Lightning, so you don't need any additional cables unless you want to fast charge with a USB-C power adapter and Lightning to USB-C cable. And since this is Apple's product, you get the integrated smart battery status display right on your Lock screen so you know how much charge is remaining in the battery case. However, we shouldn't dismiss the Mophie Juice Pack Access just yet. It won't be available until sometime in the first quarter of 2019, but it has a lot of promising features as well, plus it's cheaper by $10. It is designed with the bottom of the case exposed, so you can freely use your Lightning port for headphones or other accessories without worrying if they're too thick. The Juice Pack Access also has raised corners like their previous cases, so it provides more protection from drops, scratches, and cracks. It also has wireless charging capabilities, but you do need to use a USB-C cable to charge the case itself if you don't have a Qi-certified charging mat. But one huge advantage of the Juice Pack Access over the Smart Battery Case is there is a version specifically made for the iPhone X. Oh, and you can choose from several color options too, which is nice. For now, we are sticking with the Smart Battery Case as the winner. However, once the Mophie Juice Pack Access is available, we will be doing a hands-on comparison between the two to see which one is the better pick. Please note that this comparison is based on the current specs that we have for the Mophie Juice Pack Access. We will have a hands-on comparison of the two battery packs once the Juice Pack Access is released. The Smart Battery Case is our pick when it comes to intuitive battery cases. It's built well with high-quality materials, the hinge makes it a breeze to get your phone in and out of the case, and it packs 2738mAh total capacity, giving you a ton of extra juice to get through the day. The Smart Battery Case also integrates directly with iOS, letting you see the battery charge level in Notification Center. The Mophie Juice Pack Access has a lot of potential. The two-piece case design means it should be easy enough to get your phone in and out of the case. The exterior has a soft-touch finish to give you extra grip, and there are raised corners to protect your device from damage. The battery capacity comes in at 2000mAh for the iPhone X, XR, and XS, while the XS Max version clocks in at 2200mAh. There are multiple color options.